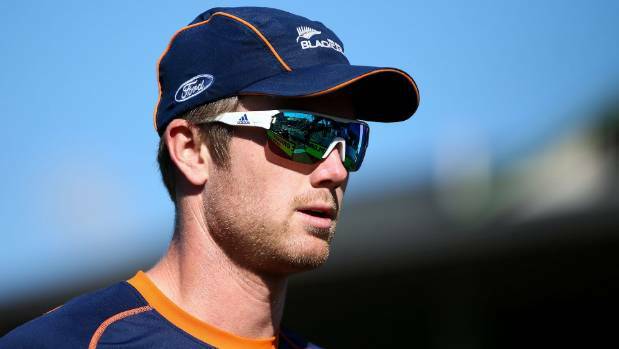 Jimmy Neesham is weighing up Wellington and Auckland as options to continue his domestic cricket career. Jimmy Neesham plotting path back to Black Caps through Wellington or Auckland BEN STRANG Last updated 17:20, May 24 2018 HAGEN HOPKINS/GETTY IMAGES Jimmy Neesham is weighing up Wellington and Auckland as options to continue his domestic cricket career. Wellington are firming as favourites to secure Jimmy Neesham’s services as he plots a path back to international cricket. Neesham has 12 tests, 41 ODIs and 15 T20 internationals to his name but hasn’t played for the Black Caps for nearly a year, since the Champions Trophy. Black Caps selector Gavin Larsen talked about Neesham and Otago team-mate Neil Broom when the 20 central contracts were announced this month. While coach Bruce Edgar wouldn’t comment on Neesham, his recent additions Hamish Bennett and Logan van Beek have been major success stories since leaving Canterbury for Wellington in successive seasons.